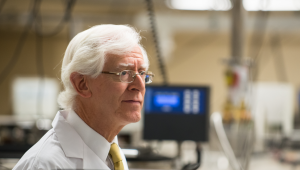 The CRLB (formerly the CRCTL) was established in 1987 under the direction of Dr. M. J. McQueen, Professor of Pathology and Molecular Medicine at McMaster University and former Director of the Hamilton Regional Laboratory Medicine Program (HRLMP), in order to provide scientific, analytical, and Biobank support for large multinational clinical trials and epidemiologic studies. The analytical and storage capacities of the CRLB have expanded significantly in support of numerous large multinational studies of the affiliated Population Health Research Institute (PHRI). Extensive expertise has been developed in the shipment, reception, storage and analysis of large numbers of samples from more than 85 countries representing every region of the globe. To date, the CRLB has received more than 20,000 shipments of specimens. The clinical trials and epidemiologic studies in which the CRLB has been involved have been supported by peer-reviewed grants from Canada and the United States and by the pharmaceutical industry. The Laboratory and Biobank has independently received contracts for organizational and analytical support for pharmaceutical industry funded clinical studies, from diagnostic companies for analyses in clinical trials, and as a specialized referral Laboratory and Biobank for research contract organizations and commercial laboratories. The CRLB Biobank currently houses approximately 3 million samples, primarily stored in nitrogen vapor at -160°C to -180°C. The CRLB mission is to be a state-of-the-art facility supporting the pursuit of excellence, innovation and exemplary professional standards in research, with a commitment to the highest level of customer service and quality assurance management.